O, Sainath! You Are The Lord Of The Universe, Embodiment Of Truth, Knowledge And Bliss, We Prostrate To Your Feet, Our Divine Master! O, Infinite Intelligence! You command the elements of Nature to bow to Your Will and get shaped into the vast and variegated Universe. You have no beginning and no end. When the entire Universe was submerged in flood, You lifted it from its embryonic state, caused it to multiply into variegated species. Your created species are being nurtured, sustained, protected by You, getting their tears wiped out and troubles warded off. You, our Father, Mother, Master, will lead us from darkness into Your Light of wisdom. You are the Embodiment of Eternal Truth, Wisdom-Light and Ever-New Delight. To establish and continue the noble tradition of the Divine Master (Sadguru), You incarnated on Earth as Dattatreya, the Triple Form of God, born as son to saint Athri and his consort Anasuya. You have appeared as Sripada Vallabha at Kuruvapuram, Sri Nrusimha Saraswathi at Ganugapuram, Manik Prabhu at Maniknagar, Swami Samartha at Akkalkot and as Sri Sai Baba at Shirdi to protect all beings. O, Divine Master! In spite of entering Samadhi, You are the Absolute Reality, guarding us as closely as the eye-lid guards the eye. We prostrate before You, the King of All Kings and Yogi-Christ. Sri Sai is the Creator. One of His pastimes is the creation of the Universe. He turns awesome galactic systems into sphere-like balls and plays with them. He prepares and executes an excellent plan for each planet. The creation of countless milky ways, the sun, stars, galaxies and the planets in them, forests, mountains, rivers, variegated species and their varieties, nature and features of the earth and other planets in a suitable manner and enabling them to revolve in their respective spheres is indeed an amazing act of Sai. The multitude of stars, planets and other stellar objects will never come into friction by moving out of their sphere. Each planet resonates to the Law of Cosmic Rhythm. The Almighty Power binds all creation together. Our soul's ears can hear the 'music of the spheres'. The sunrise, the pleasant moonlight and the star-studded sky will give us great joy. If this ecstasy is rightly perceived, the love of Baba will be realized by us. We, who are part and parcel of God's Creation, can get that blissful feeling by not violating the rules of nature. This is the message of Baba. But we are inviting trouble by ignoring the truth and behaving at will with egoistic feelings. If we observe the regular occurrence of the sunrise and sun-set, we can hear Baba's message of living like the sun, with a sense of discipline, commitment and regularity. For the welfare of mankind, God Himself incarnated as Sri Dattatreya-The Universal Guru (Teacher). Thus, He became the very originator of all Yogic traditions. In the recent times, He descended in various human forms like Sripada Srivallabha, Sri Nrusimha Saraswathi, Sri Manik Prabhu, Sri Akkalkot Maharaj, Sri Shirdi Saibaba. In other words, the life stories of all these Avatars is the great history of Sri Dattatreya. Saints, who are the Dattatreya incarnate, even after shedding their mortal coils, have been appearing in flesh and blood to their devotees and showering their grace on them. Firstly, the reading of "Sri Gurucharitra" which is about the two Datta Avatars, gave the holy vision of Sri Dattatreya and liberation to several devotees. For some others, Sri Dattatreya appeared in dreams and guided them to the right Guru. However, the common-folk will not have the maturity of worshiping the true Gurus although they are present before them. Hence the reading of "Sri Gurucharitra" will offer us such an opportunity. 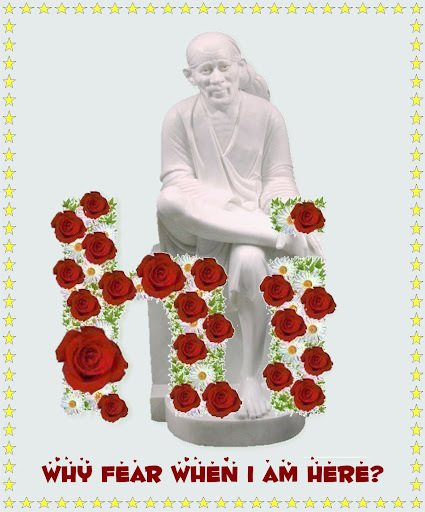 The Divine Master Sai never revealed the method of worshipping Him. Hence, the devotees must make regular reading of "Sri Gurucharitra". Baba made Kushabhavu read the book for 108 times. "Sri Gurucharitra" guides one in reaching the feet of the right Sadguru. People with devotion to God, love and sympathy towards all living beings will be always ready to help others. They never expect recognition from any one. They are very important to the society. Such great people are ordinary men in the beginning. They have not come down from the heaven all of a sudden. The deep desire to acquire a saintly behaviour, to spiritually reach a higher level and the willingness to accept such transformation are the forces that have influenced them to the core. When they offer themselves as boulders to the will of God, the Cosmic Sculptor carves out a marvellous statue. Once they surrender themselves to the Will of God and dedicate their lives to God, they will be transformed into angels of mercy and divine instruments of selfless service. Baba took Bhagojee, who was suffering from leprosy, into His lap and enlisted Him as his trusted servant in His darbar. It is our primary duty to help those suffering from ill health. With love and sympathy we must nurse and care the bed-ridden patients. Baba likes such service of love. Some people lack the motto of service. How many are there who are willing to selflessly serve with love? The more we prepare ourselves for selfless service, the more we become dearer and go nearer to Baba. A state of mind devoid of any anxiety and tension reflects peace. When thoughts are subdued in and mind is freed from fury of emotions, it is in a state of mental poise which is the basis of happy life. It is not only the order of nature but also the divine wish that all beings in the Universe should co-exist in peace and amity. However, the upsurge of selfishness and lack of knowledge of discriminating between the virtue and sin has led the present-day world to reel under the fear of war and social disorder. Baba taught us to conquer the ego, the root cause of envy and hatred, share love with all, desist from harming others and help set up a peaceful society. Baba will safeguard one, against most dangerous and difficult conditions, if one sheds one's ego and seeks His help. Anyone could give only from what one possesses. Likewise, those who move on the path of peace could make others experience peace. We all should know the truth that Baba, the Universal Peace-Maker, alone can grant us Supreme Peace. The divine shield of Baba will provide light, both within and around and helps us lead a peaceful, secure and happy life. Hence, let us free ourselves from the vice-like grip of violence and ill-will from our hearts. Let us invite Sainath, the Bestower of Supreme Peace, into our hearts. One might think as if the world is governed by ignorance when one comes across people without a basic understanding of life, jumping to feet in the dark corners and moving towards a purposeless and directionless destination. Many of us are still groping in the darkness, unaware of "Who we are"? "Where have we come from"? And "Where are we moving"? People are leading a dreary life without knowing the meaning and purpose of life. The Almighty created mankind in His own image of ever-new Delight. The root cause of all human troubles lies in our inability to discover the Fount of Bliss within us. A complete surrender to God's will, would solve all our problems, reveals the purpose of life and shows the lovely path of realizing it. One who can understand this reality will eternally stay in His celestial light of wisdom. On tasting the nectar of His love, the earlier earthly bonds of hurdles would appear pleasant. The priceless life gifted to us would appear more purposeful. Life is delight if we look through the eyes of devotion and faith. The Omnipotent Baba blessed us with such a beautiful life, reveals us the goal of life and guides us in His Love-Light to reach Him and be with Him. Only our faith and love-devotion to Baba will make our lives meaningful and joyful. Let us pray to Baba to guide us in His Light of Grace. We search for the light in darkness. In the light, everything is clearly visible to us. We guide our steps to what is good in the light we see ahead of us. This is how we ordinarily walk on a pathway. We are well aware of the past and we live through the present. We cannot know the future, as we are not seers. God not only knows the future, but knows even the future course of lives of everybody. Hence, we should pray to Baba before we commence any work. One should pray, "Baba! I want to walk on this path. I intend to do this work. I will but abide by Your decision. Please do command me what is fit to be done". We must not get restless or expect an instant reply, but must wait patiently. Sometimes, Baba would test our faith. He will not reply. Then with a resolute mind, we should pray to Baba saying, 'the lamp in my hands is little, nothing is visible after every two steps. My wisdom is limited and unless You come and hold my hand, I cannot move further'. Baba is aware of what is going on in our minds. Therefore, if our devotion is sincere and our faith is firm, He will come and hold our hand. The victims of snake bite coming back to life, the sick getting cured are, indeed, the miraculous acts of Baba's Divine Love-Grace. Even now if we invoke Baba's mercy, He would lend His helping hand and bless us overcome life's hurdles. In a family life, we are surrounded by several responsibilities, face hardships, problems and pains. How can one keep one's mind on God with mind rocked and swayed by tensions and worries? This very thought worries some. God assures us, 'Entrust all your responsibilities to Me and stay cool. Whatever work you do, stay detached and be an instrument only. What is the meaning of being an instrument? The doer must think that he is only a tool in the hands of God and it is God who executes all things through him to fulfill His purpose. If we think that we are instruments in the Hands of God, strive and struggle and surrender to Him, God will hug us to His heart and be our guide. God is easily accessible to His devotees. When you are caught in the whirl-pool of troubles, a fervent call 'Baba' would stir and melt His heart and He comes running to help you. The communion with God, which is full of love and wisdom, will fill our hearts with peace, happiness, love and patience. If a faithful devotee casts his burdens and responsibilities on Baba, He will stand by him, provide refuge and bless the devotee with a worry-free life. Likewise, several devotees got rid of their diseases and got their burdens lightened when they surrendered themselves to Baba's care. We are not self-luminous. Only when we have become true devotees does the light within us manifests. It is the glow of God's light. It appears as if the wick in the oil lamp that burns sheds light. But it is the wick dipped in oil that causes it to burn brighter. As long as the wick is dipped in the oil, it sheds light and dispels darkness. Darkness is ignorance. The wick of lamp remains in darkness when there is no oil. When the oil of Baba's mercy is added to the wick that a human being is, that illumined mind drives out the illusion of ignorance. Of what use sheer human effort without the Divine Grace of Baba? The light in us may be put out early and our life may be in vain if we try to glow without God's Grace. We are bound to succeed in any work we undertake if we but remember Sai. Our life-wick must always stay dipped in the oil of Sai Grace. Just as the wick dipped in the oil will burn brighter, shed light to all corners, our lives, deeply engrossed in the oil of God's Grace-Power will shine as Light of Wisdom. We must pray to Baba, the Universal Teacher, to turn the lamp of our soul towards the Lord of Light. We must beg Baba to dip our life-wicks in the oil of Baba's Grace so that our lives are illumined. The light that shines in our body-temple is none other than Baba. This is a profound lesson in wisdom that an oil-lamp teaches us. In life, health and happiness depend on the grace of God. We get them by our fair conduct and faith in God. The reason for not getting the grace of God is due to lack of obedience and devotion. Obedience means complete surrender and just doing as commanded. This is an integral part of devotion. Obedience means to have firm faith in God as a child has in its father. "Why does father command so? Why does he do so?" such questions will not occupy a child's mind. He will simply obey his father's commands. So, we need not search for the 'cause-effect' link in everything. We may not understand the acts of God. But we need to obey Him. Obedience will brighten our future. When devotees came to Baba to take leave, Baba used to ask them not to leave Shirdi on that day, but leave the next day. Devotees obeyed Baba's word, and re-scheduled their journey despite urgency and never did they incur any loss. Whatever happened turned out to be good. The disobedient left Shirdi much against Baba's wish and suffered a lot. Only God knows what is in store for us tomorrow. People who abide by God's command will safely reach the right destination. Violating His command might cause problems. Therefore, if we abide by Baba's word with unquestioning obedience, our life's journey will be smoother. It is not so easy to understand the deeds of God. But one thing is certain. There is some inner meaning in whatever God does. He will always do good to His devotee-children who trust in Him. The adage that nothing shall occur except as God wills is, indeed, true. Although, we feel that certain incidents are likely to harm us, in fact, they turn out to be good for us. Sometimes the punishment given by Baba is only to perfectly train us, but not to persecute us. Just as gold cannot glitter if not burnt in fire, so also we cannot acquire spiritual wisdom unless we pass the tests and trials of life. Nothing will ever happen in our lives which is not destined to happen. We must remember that whatever happens is for our own good and meant to shape our destiny. We go through sorrows and sufferings as God wants us to set right our wrongs, cleanse our sins and make us worthy of merging into God. A devotee feels perplexed when his car stops abruptly at a deserted place. He wonders, "why did Baba trouble me thus"? When his eyes fell on the boulders rolling from a hill and blocking the road, he realized how Baba saved his life by stopping his scooter. His grateful heart thanked Baba for saving him from death. Both tears and smiles, joys and sorrows are for our good, as long as Baba showers His Grace on us. All the earthly riches are but a gift of Baba. In return for the gifts, Baba expects from us devotion, honesty, uprightness, self-surrender. Baba wants us to put the wealth, which He gifted us, in the service of the needy. It is charity. Charity is virtue. Only a few are blessed by Baba to have a heart of charity. Some people think that one can make a charity if one is very rich, but not when one has little wealth. Baba explained through His noble deeds that riches are secondary but a desire to donate is vital. In fact, the spirit of sacrifice can be found in Nature itself. Rivers provide clean and fresh water. Trees bear the sweetest fruit and man being a part and parcel of nature must emulate the spirit of charity. When we compare the pleasure obtained by the receiver with that of the happiness of the giver, the amount given in charity seems insignificant. Liberality awakens spirituality. Greed and selfishness cause poverty. Baba taught us the value of charity by explaining it in the simplest form, "give and grow richer". We need not be a millionaire to give charity. We can give away cheerfully whatever wealth we can afford to give and Baba will increase our riches. Baba's grace will not only multiply our worldly wealth but blesses us with the spiritual wealth of merit and ever-new joy. It is true that words and deeds go together in the case of great souls. Their every word unfolds the spiritual realities. Words of great seers remain unaltered as the letters inscribed on a stone tablet. In the most calamitous times, even if great floods inundate the earth, the entire life on the planet gets tormented, the earth or sky or even the multitude of the planets get destroyed, still the faith in Baba would provide a safe haven for us. We should raise the mansion of life on the foundation of Baba's words of assurance. Our success and failure rest in the hands of Baba only. In the hour of distress, we must remember Sai and recall His teachings and remain cool-headed so that Baba steels our will to live in poise and peace. Once, a devotee under the spell of disbelief had suddenly heard the thundering voice of Baba, "Won't you still believe me"? Baba would sometimes test even the faithful devotees and enjoys the sport. But the next moment He showers His nectarine grace. Sufferings, accidents, pains and fears are all part of Baba's tests. Whoever seeks His shelter is definitely rescued. Baba will never go back on His word of assurance even if the whole world turns topsy-turvy. We should offer our prayer-flowers and prostrate before Baba. It is said that the lives of theists are devoid of any problems. Sometimes, in spite of the faith in God, one may face hardships as a result of the accumulated sins committed in the past. But, we can understand the acts of God only by firm faith. In fact, 'adversity' provides an opportunity to come more closer to God. While some problems disturb the mind, others harm the body in the form of disease. If you think, "Baba's blessings are there, why should I fear?" and sincerely offer prayers, you will be blessed with good health in return. Baba kept the mentally disturbed Nulkar in Macchindraghad and blessed him with the much sought solace. Tumours on the body, plague and other chronic diseases were cured by Baba's sacred ash. It is no ordinary boon to be in the presence of Baba. For this, a devotee's heart must be soaked in devotion. The minor irritants are only tests that Baba conducts to mend our ways and turn His believers as ardent devotees. With little provocations Baba will scare obedient devotees. Won't children run to the mother and embrace her in fear? Likewise, when devotees seek shelter at Baba's feet, He would hug them, drive their fears away and gives them good health. Hence, the feeling of 'I' should be given up and all our burdens must be placed on His shoulders. Baba, the Compassionate Mother grants us everlasting peace and joy. The Chavadi celebration is observed on alternate days since 10th December, 1909, without break. Before the great celebration done in the honour of Baba, Abdullah and Radhakrishna Mayee used to clean and wash the streets and adorn them with colorful patterns on the floor. There would be a festive occasion with drums, chorales with hand-drums, torches and lights. Clothes would be spread from the Masjid to the Chavadi. Tatya would hold Baba's hands and make Him get up from His seat. He would honour Baba by covering Him with a gold-embroidered shawl. Baba would get ready for the procession toward the Chavadi with a baton (satka) under His arm-pit and a clay smoking pipe in His hand. Sai Maharaj was escorted in a majestic manner by the devotees and accompanied by His royal horse Shyamakarna. They were fortunate to see that glorious day and let us recall the event, rejoice and be blessed. Page created in 0.251 seconds with 69 queries.